Lost Puppies is helping puppies! Two facts about BMC: we love clothes (shocking, I know). We also love animals. When we get to combine the two? Basically, we’re just the happiest lil clothing company in the whole wide world. Sometimes, we get the opportunity to do more than just put adorable animals on cool clothes – we get to help REAL animals as well. 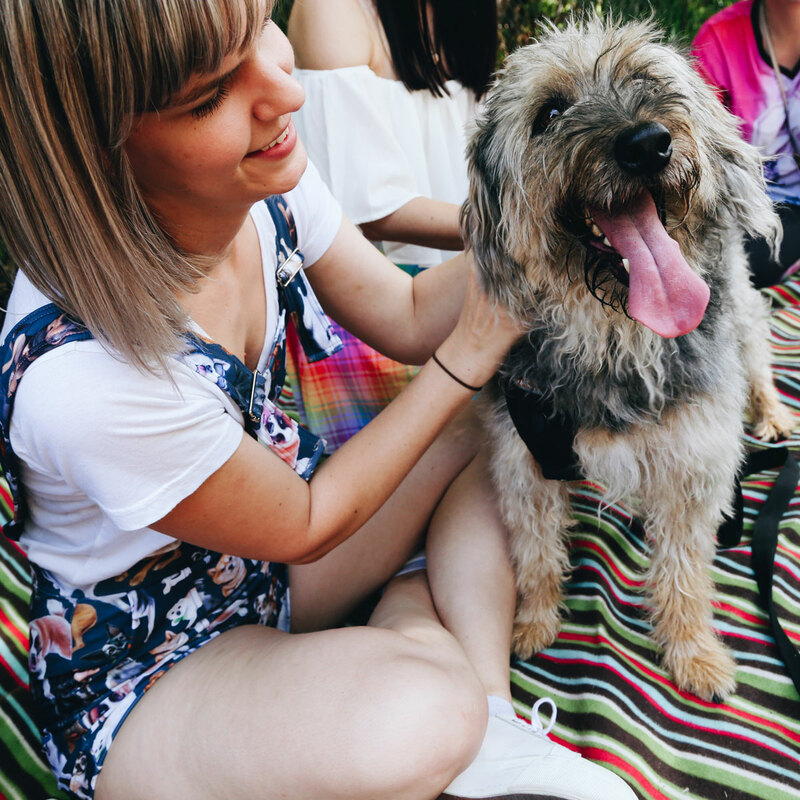 We do this by coming together with some of our state’s best animal welfare organisations, like RSPCA Qld and Wildlife Warriors, to raise money for furry, fluffy, feathery (and scaly) creatures in need of help. The first time we did this was with our Lost Puppies release wayyyyyy back in 2014. That collection came about because we made a bunch of cool clothes and then kind of…forgot about them. So we rounded them up into one collection of awesomeness, and donated part of the proceeds to RSPCA Qld to help REAL lost puppies. Well, recently we realised that we’d done the same thing again: we had a bunch of cool samples kicking around that we never got around to releasing (look, it’s chaotic around here, okay?). We decided to go ahead and let you buy them already – and why not bring back some of your OG Sharkie faves as well while we’re at it? Then we thought: hey, if we’re basically doing a second Lost Puppies release, let’s make sure those real puppies are getting some love again as well! 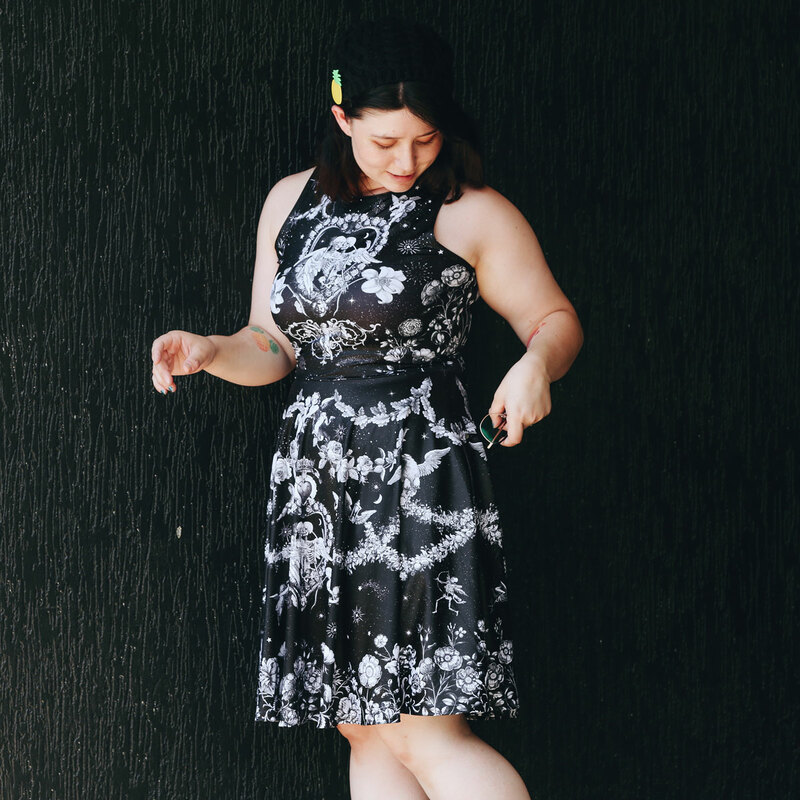 So when Lost Puppies 2.0 drops at 7am (AEST) 5 February (that’s tomorrow! 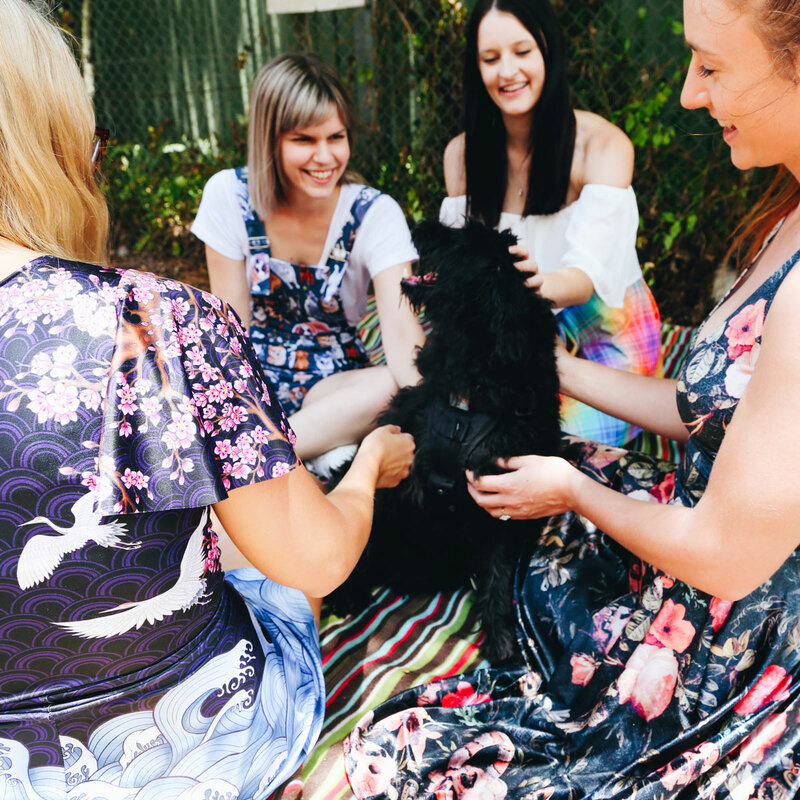 ), we’re donating $1AUD from every item purchased to RSPCA Qld – and matching it with a dollar donation from our own coffers. The best thing about working with RSPCA Qld (besides the satisfaction of helping animals) is that we got to personally meet some of the adorable puppers that are up for adoption. Like these guys: Pointer, Socks and Toby – aka Floof Models Extraordinaire. 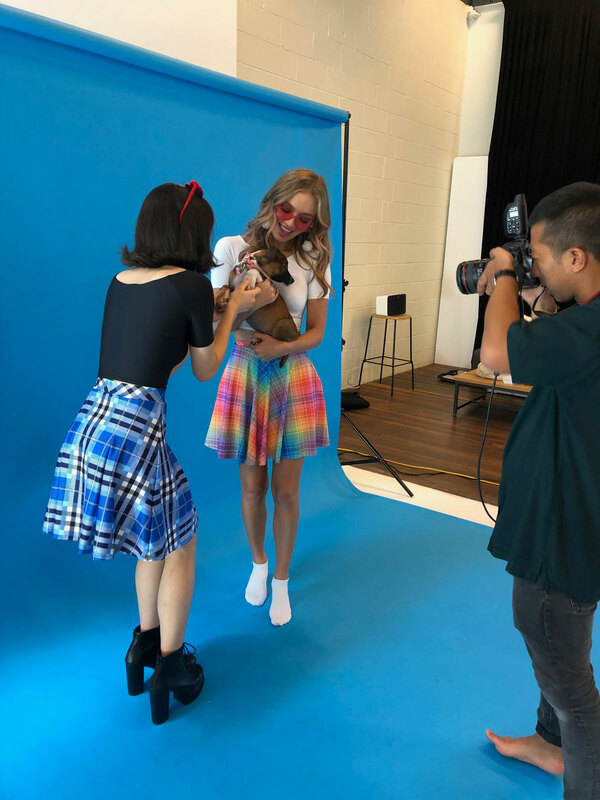 And no one was more excited to show up on set than our human models, who immediately fell in love with their much furrier co-models for the day. So, as a reminder, every piece you nom from our Lost Puppies 2.0 collection tomorrow will see $1AUD donated to RSPCA Qld, and we’ll also match that with ANOTHER dollar donation of our own. Double win for the borkers! P.S. If you happen to live here in Queensland and are looking to adopt a lost puppy (or kitten, or bird, or farm animal!) of your own, be sure to check out the RSPCA Qld Adopt-A-Pet page here! Best day at work EVA!